Quantum Touch is an amazing healing modality that allows us all to enhance our natural healing skills and use them to the benefit of our friends, family and clients. Quantum touch can bring about profound change to people and they may bring physical or emotional issues to you to be healed and these include: Side effects of chemotherapy, stress, childhood anxieties, skin conditions, arthritis, kidney problems, IBS, sports injuries, back pain, addictions, exchaustion, grief and anxiety issues, liver problems, high blood pressure and many others. There is no more rewarding feeling than having someone leave you looking and feeling better both short and long term. 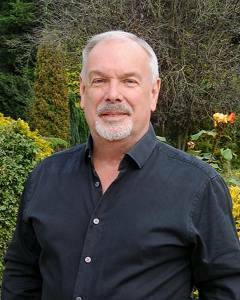 Come and learn Quantum Touch, Light Touch Healing here at Kilnwood Farm Coach House, only moments away from Gerrards Cross and its main line station just 25 minutes from Marylebone. I run small groups of up to 6 to 8 so that we allow lots of time for discussion, practice and learning. I have been a Quantum Touch Instructor for several years and have taught people from all over the world. Do join us at our 1740’s farmhouse here at Chalfont St Peter. Just a trip through the calming garden slows the heart rate!! To book your place on this course, contact Roy by phone or email or use our online contact form. Whether travelling by road or rail, plan your journey to arrive with time to spare. This way you will be able to relax and get to know your fellow course members in the tranquil environment of Kilnwood Farm Cottage. The start and end times shown here are the latest times although we normally plan to finish a little earlier on the final day to allow you plenty of time for your journey home. We have provided location information at the foot of this page. There are several hotels within a short taxi journey of Kilnwood Farm. Click here for a sample list (PDF) of places to stay (opens in a new window). Alternatively, search Airbnb online for local accommodation. Tea, coffee and biscuits will be provided. Bring a light packed meal with you each day as we will stop for one hour to have lunch. Wear loose, comfortable clothes and bring either slippers or thick socks to keep your feet warm. To make a deposit or a full payment for a course or treatmeny please click one of the paypal links below and enter the amout in the box labelled "Price per item"
For any enquiries please use this form. by Rail The nearest railway station is Gerrards Cross on the Marylebone to Birmingham line. 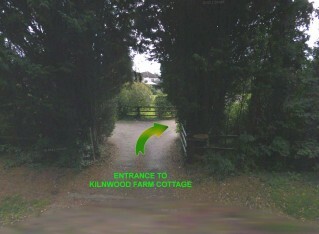 Kilnwood Farm Cottage is a 5 minute drive from the station. Trains from London Marylebone run regularly and take approximately 25 minutes. by Car We are 10 minutes drive from either Junction 16 or 17 on the M25 and 15 minutes from Junction 2 on the M40 and just 20 minutes from Heathrow. To get direction from your location, enter YOUR postcode.